Best suited for either larger or perhaps a lower calf often referred to as an athletic calf. This larger opening of the boot is designed to accommodate this area for better comfort while not impeding the performance. Designed for athletic, improving, all mountain women, the Dalbello Kyra 75 is a soft flexing, lightweight, versatile fitting performer. Dalbello’s 3 Piece Cabrio design provides outstanding foothold with responsive and consistent flex with easy to handle on/off convenience. 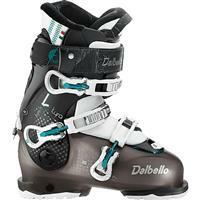 A sturdy and precise Ski/Hike cuff lock system provides all around the mountain functionality. 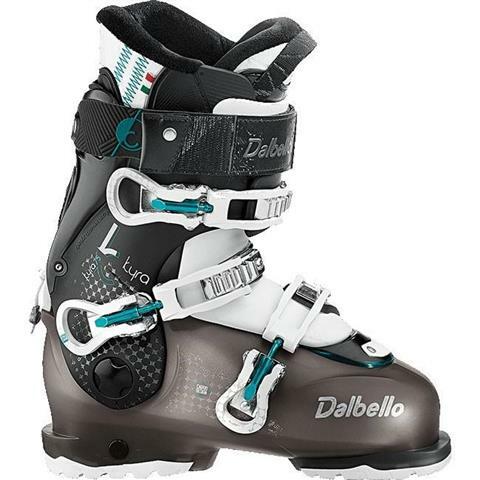 The Kyra 75 sets a new standard in women’s performance ski boots. I love these boots! They are extremely comfortable and warm. The soft flex design allows your calf and ankle to move within the boot comfortably while still maintaining stability. Any skier will be satisfied with these!